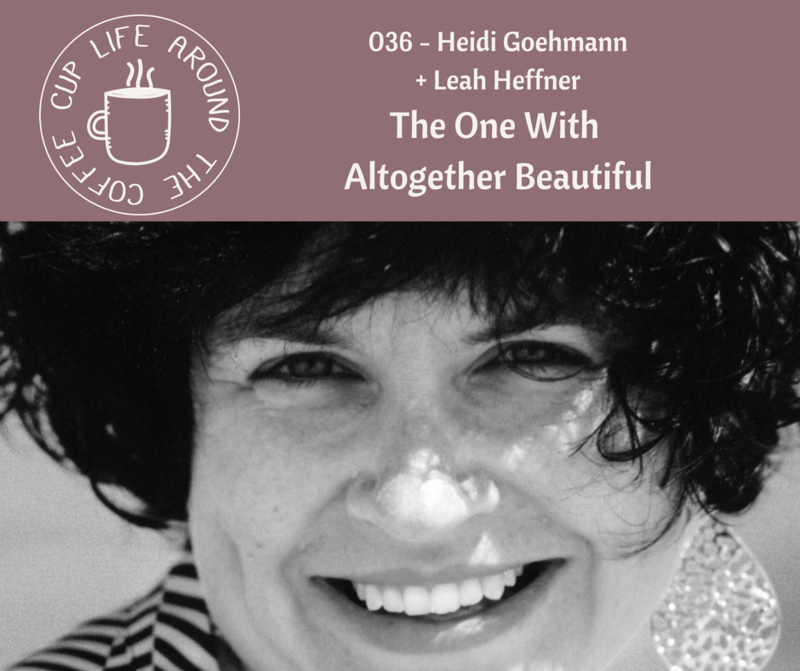 Heidi Goehman + Leah talk about how we are each altogether beautiful and how we can see that grow as lean into our potential, choose to be present, and look for community and connection. Deaconess Heidi Goehmann is a licensed independent social worker and mental health care provider, a writer, speaker, wife, mom, forgiven and loved child of God. She received her deaconess certification, as well as her bachelor’s degree in theology and psychology from Concordia University Chicago, and her master’s degree in social work from the University of Toledo with an emphasis on children, families, and social justice. Heidi has worked in a variety of clinical settings including trauma treatment for abuse and sexual assault, cross-cultural research, Eye Movement Desensitization and Reprocessing, and home-based therapy. She has also served in various ministry capacities including college student ministry, women’s and children’s ministry, and missionary work in Haiti. Heidi loves her family, sticky notes, Jesus, adventure, Star Wars, Star Trek, and new ideas…not necessarily in that order. My little guy starts kindergarten in the fall and his #1 thing he is excited about is learning to read. He can’t wait to be up to his eye balls in battles between knights and dragons, going on adventures with Janner and Tink, or reliving his favorite moments of Narnia again and again (and again and again). But I know that reading isn’t this magical kindergarten switch we flip. We have a lot of work to do this year. And I want to help him be successful as he starts out on his reading journey. That’s why I’m so excited about Phonics Museum from Veritas. It’s an app designed to help kids learn how to read. Veritas uses a classical education model so you can trust their app to do the same. I love that it uses phonics and letter sounds to help him get great building blocks to reading. You can check out this video then head to phonicsmuseum.com/coffee for a two week FREE trial! Check it out now to help your kid stay up with reading over the summer or to start building reading fundamentals.